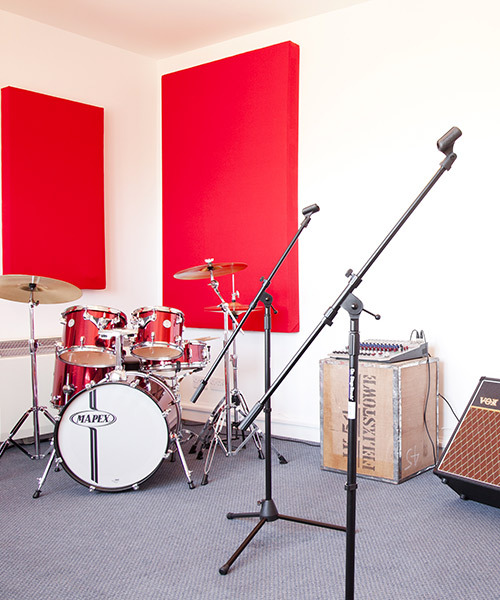 Professionally soundproofed and acoustically engineered, our rehearsal rooms are clean, modern and truly stunning facilities offering musicians the utmost sound and the perfect environment for practice and band rehearsals. 2 Mics and stands Hi-hat, crash and ride cymbals plus snare drum included – no extra charge! 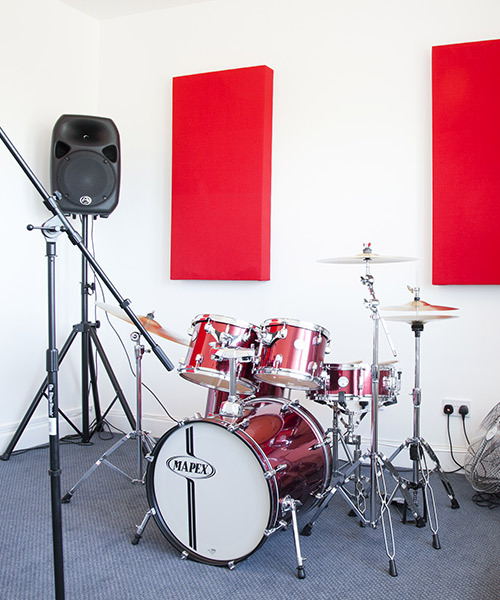 Studios are available to hire by the hour (minimum two hour booking during peak hours). Off Peak Hours – *9am to 5pm, Monday to Friday. Peak Hours – *5pm to 11pm, Monday to Friday and all day Sat and Sun. Advance and last minute bookings welcome. If you wish to cancel a session we require at least 48 hours-notice, if less than 24 hours notice – full payment is required. We recommend drummers bring their own cymbals, though we will provide these should you wish. We have a range of snacks and refreshments for sale. Musical spares and gift vouchers available to buy. or email us we’re always happy to help.